Toys R Us: Returning or Gone for Good? For 70 years the prominent retail business Toys “R” Us provided children across the globe with toys, fulfilling memorable special occasions. As stores such as Amazon, Target, and Walmart grew more competitive, Toys “R” Us fell behind. Last September, the business experienced their first glimpse of bankruptcy. “Toys “R” Us suffocated under a staggering $5 billion debt load before liquidating its U.S. assets this year,” said Moneywatch AP on CBS News on Oct. 3. In May 2018, they announced all 800 stores would close by early August this year. However, shortly after their closing, they decided to make a comeback. They hope to bring their stores back with greater improvements. Students at South show their excitement for the store reopening. Julian Kuehtreiber, senior, at South, expresses the significance Toys “R” Us has to him. “When Toys “R” Us announced they were reopening I was excited, because to hear one of the stores I would visit as a child was making a return makes me feel happy to see how people are coming together to help save the store,” Kuehtreiber said. As the holidays approach, families search for children’s toys: unfortunately for Michael Shubert, Economics teacher, he and his wife must say goodbye to a yearly tradition. Reopening the store will satisfy loyal costumers to continue their traditions and make shopping easier. Many other toy industries are indifferent with their return. The company still owes a lot of money to many toy retailers. 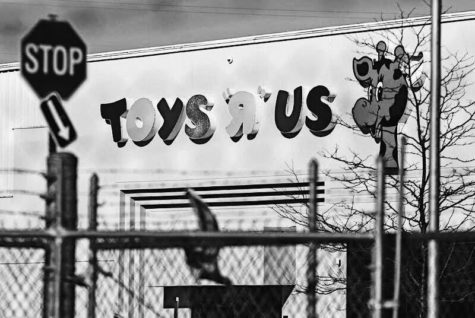 “Vendors that lost tens of thousands to millions of dollars when Toys ‘R’ Us crashed are not eager to do business with it again,” said Lisa Fickenscher in the New York Post on Oct. 5. Not only did the business closing effect the entire toy industry, it also affects many former workers, leaving 32,000 unemployed. Reopening the business would reassure jobs which were lost, and open opportunities to sales investors, to their new and improved store. Bella Biga, senior, said she was employed at Toys “R” Us in their last month before closing. The retail business also plans to open opportunities to new sales investors, which could benefit the economy after the downfall of the store closing. Shubert believes the store reopening will benefit the economy in many ways, especially the consumers. “The more competition there is in any given industry, the better it is for the consumer in terms of having more choices, more opportunities, and lower prices,” Shubert said. The business assures many benefits in the reopening of the store. “Expansion of employment opportunities for workers and merchandising opportunities for toy vendors are expected,” said in the U.S. Intellectual Property Bidding Procedures Order and IP Bidding Procedures Amendment Order. They promise to expand jobs to many more employees and toy vendors than they have before. The road back to success will be rocky as the company gets back on its feet. For now, your birthday wishes from Geoffrey the Giraffe are not over quiet yet, as he will be living a longer life wishing many more birthdays with Toys “R” Us than expected.